2. Check whether the LED of your MicroBot Hub is green (hover over the top of the device). - MicroBot Hub needs a stable 5V 2A power adapter in order to work properly, especially when updating. Please note that the adapter of smartphones are not stable enough for MicroBot Hub to work properly. MicroBot Hub should not be plugged into a multi-socket adaptor. 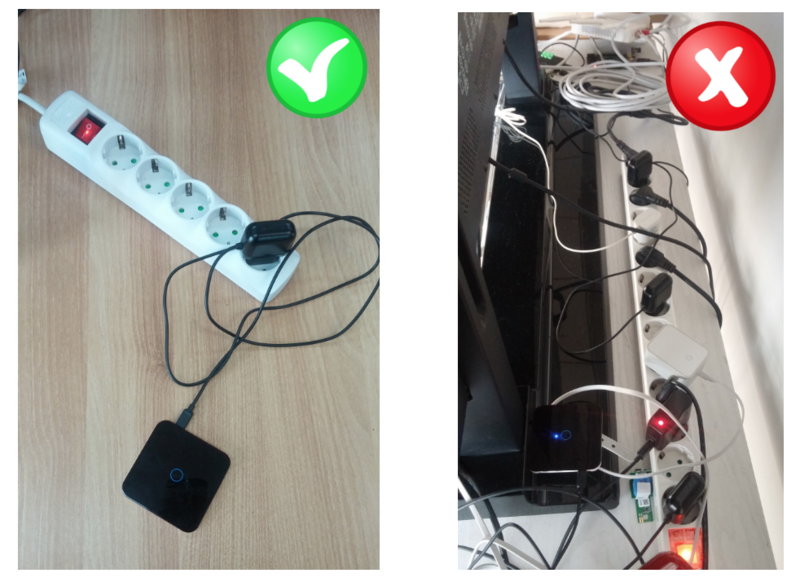 If there are many electric devices nearby your MicroBot Hub, a power issue could occur. Sometimes, MicroBot Hub may be stuck with a certain procedure. A simple rebooting will solve this issue.